Regardless of how mature your agency is when it comes to cloud adoption, there are key questions that must always be considered. How do you take a thoughtful approach to cloud that takes into account security, value, necessary process changes, workforce impacts and more? 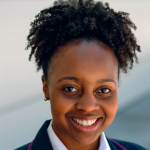 These were among the topics of discussion at a recent roundtable event, “Building a Cloud-Ready Government Database,” hosted by GovLoop, Oracle and Intel. Roundtables are discussion-based events where 20 or so government professionals have the opportunity to discuss challenges and solutions. 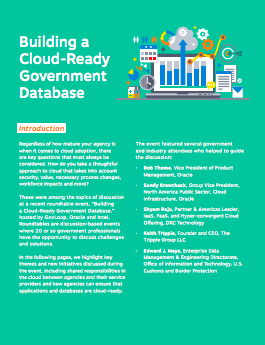 In the following pages, we highlight key themes and new initiatives discussed during the event, including shared responsibilities in the cloud between agencies and their service providers and how agencies can ensure that applications and databases are cloud-ready.